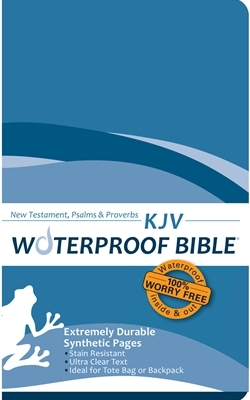 Received my KJV waterproof Bible in a timely manner. The font is clear, not too small and easy to read. It's just the right size to slip into a bag when I go to the beach. I've highlighted several passages already and they are clear, and did not smudge. I ordered one of the zippered covers for it as well. Thank you for printing God's word in a waterproof format.